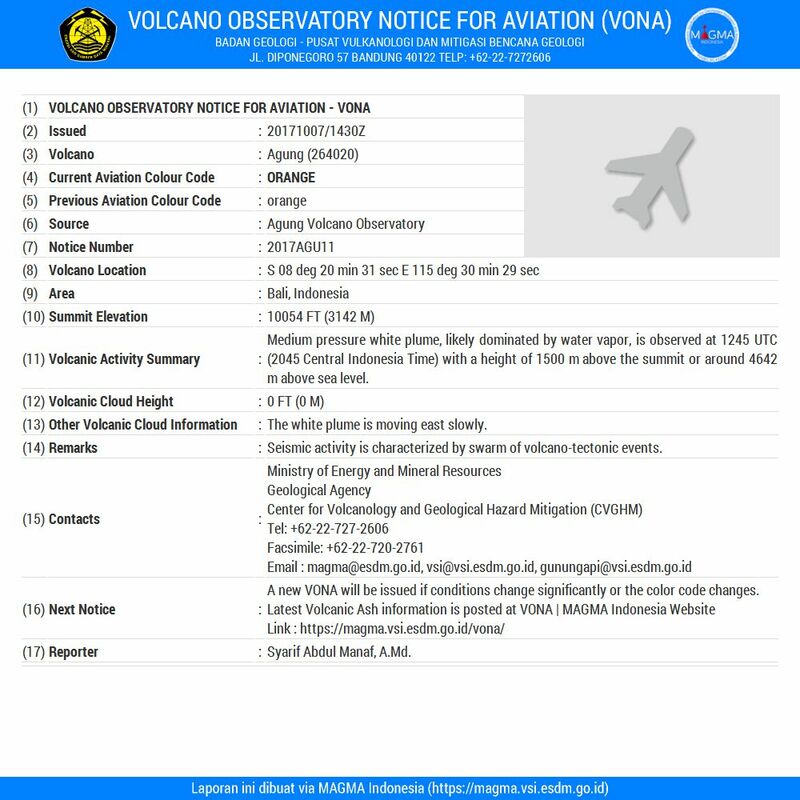 (11) Volcanic Activity Summary : Medium pressure white plume, likely dominated by water vapor, is observed at 1245 UTC (2045 Central Indonesia Time) with a height of 1500 m above the summit or around 4642 m above sea level. (13) Other Volcanic Cloud Information : The white plume is moving east slowly. (14) Remarks : Seismic activity is characterized by swarm of volcano-tectonic events. (16) Next Notice : A new VONA will be issued if conditions change significantly or the colour code is changes.